Even before the 1984 attack, Baba Gurbachan Singh was a wanted man. The security forces knew he was close to Sant Jarnail Singh Bhindranwale and committed to the Sikh nation. As early as 1980 the police had once surrounded Gurdwara Baba Dhanna Singh in Naushera Panooaa(n) where Baba jee was doing seva and ordered Baba jee to surrender. Baba jee told the police party that he would change his clothes first. He went inside his room and came out with a big kirpaan. Taking it out of its sheath, Baba jee bellowed, “Whoever has got the courage can come and arrest me…” The police party was terrified and no one approached. By this time the village Sangat had also assempled and the Police were forced to return to their stations empty-handed. In 1981 Baba jee had begun to carry a revolver and knew that the Sikh struggle would have to resort to arms. Baba jee’s heart was breaking when news of the attack on Darbar Sahib arrived. He was wishing that he too could join his fellow Singhs in defence but he was bound by Sant Jarnail Singh jee’s orders. He knew Sant jee wanted him to organize the Sikh Freedom movement after the attack. When villagers began to march towards Sree Darbar Sahib Baba jee understood their pain, but knew this would be fruitless. Thousands of Sikhs had risen up from the villages and had been mowed down by the army. Baba jee sent messages everywhere that marching on Amritsar without any weapons was useless. They should wait for weapons and then together, with a set strategy, they would fight the government. In this way Baba Gurbachan Singh saved many lives and laid the foundation for the future movement. After the attack, those Singhs who were close to Sant Jarnail Singh and were ready to take on the government began to have secret meetings. Reporter Dalbir Singh was a well-educated journalist who knew Sant Jarnail Singh very well. He gathered with the remaining Singhs like Manbeer Singh ChaheRu (General, Khalistan Commando Force) and others and told them that a fight for Khalistan would not be useful. He said that there were not enough Singhs to fight and the Indian government had a security force that could not be defeated so easily. The other Singhs began to discuss with Dalbir Singh about what could be done. When Baba Manochahal was asked for his opinion, he said plainly, “Bhaji, the government and its agents have oppressed the Sikhs. They’ve dishonored our mothers and sisters. We are going to take justice for that. Regarding all these political issues you’re talking about, you can deal with them as you see fit.” There was no discussion left. Baba jee was determined to keep his promise of fighting for Sikh freedom. Through 1985, Baba Gurbachan Singh began to organize the Singhs to fight against Indian oppression. He made speeches and created popular support for an armed movement. The police were on Baba jee’s trail and once even managed to capture him. The CRPF (Central Reserve Police Force) had sideswiped Baba jee’s motorcycle one night and then after tying him, threw him in their jeep. Baba jee managed to untie himself and after pushing his captors, jumped from the moving jeep. He ran through the fields and managed to escape. This was just the beginning. Baba jee’s true life as an outlaw would begin after a battle in his own home village Manochahal. Baba jee had gone to meet his family and was to spend the night in a small hut in the fields when someone informed the police. Baba jee and his brother Bhai Mohinder Singh were asleep when the police party surrounded the hut. The head of the police party knocked on the door and shouted for Baba Manochahal to surrender. Baba Manochahal knew that the situation was dire and decided to buy some time. He demanded that the village head (sarpanch) be summoned and only then would he come out. Baba jee and his brother jumped over the officers who were still lying in position. A Punjab Police officer tried to tackle Baba jee as he was running but also failed. Baba jee had wreaked havoc on the police and escaped. One officer thought Baba jee was chasing him and for kilometers ran in front of Baba jee. Baba Gurbachan Singh did not harm the poor police officer and let him go. By 1986, the Sikh Freedom movement had begun and a five member Panthic Committee was formed to give the movement direction. The Singhs choosing the Committee were all affiliated with Damdami Taksal and had chosen five Singhs also affiliated with Taksal. Baba Gurbachan Singh requested that at least one Singh from Babbar Khalsa be chosen and he would give up his own spot if needed. The other Singhs did not agree and the Committee was announced. Baba Gurbachan Singh felt that without including all members of the struggle, regardless of their Jathedbandi, the Committee would not accomplish all it would have, but he continued on as a member. A Sarbat Khalsa was called on January 26, 1986 in which the Panthic Committee was announced to the Sikh Panth. The five members were Baba Gurbachan Singh Manochahal, Wassan Singh Zaffarwal, Bhai Dhanna Singh, Bhai ArooR Singh (Shahid) and Bhai Gurdev Singh Usman (Shahid). Bhai Gurdev Singh Kaunke was appointed acting Jathedar of Sree Akal Takhat Sahib.. The Sarkar Takhat that was built by the Indian Government to stand in place of the destroyed Sree Akaal Takhat Sahib was also ordered to be destroyed. The kar seva of the new Akal Takhat building began that day. On April 29, 1986 the Panthic Committee called a press conference at Sree Darbar Sahib and made the declaration of an independent Sikh nation, Khalistan. Baba Gurbachan Singh along with the other Singhs had gone into Darbar Sahib undercover. Baba jee tied his beard and took on the appearance of a lawyer, complete with briefcase. On April 30, Bhai Gurdev Singh was arrested and Baba Gurbachan Singh was appointed acting Jathedar of Sree Akal Takhat Sahib. In the period that followed it was always confusing who was Jathedar as this position changed quite frequently. Baba jee was once again appointed Jathedar on October 23, 1987. It was at this time that Baba Gurbachan Singh emerged as head of a new organization: The Bhindranvala Tiger Force for Khalistan (BTFK). Some top lieutenants who worked with Baba jee were Bhai Sukhwinder Singh Sangha, Bhai Satnam Singh Chheena and Bhai Surjeet Singh Behla. Baba jee’s brother Bhai Mohinder Singh also was a close associate. Baba Manochahal decided to make a trip to Pakistan to secure arms for the Singhs. In his absence, he appointed Bhai Mohinder Singh to supervise operations. When arms arrived, Bhai Mohinder Singh and Bhai Sukhwinder Singh had a disagreement about the distribution and both parted company. The touts of the Indian Government decided to make use of this disagreement. They tricked some Singhs working under Bhai Sangha into shooting Bhai Mohinder Singh. They were told he was a goon and terrorizing the common people. Without checking on who they were attacking, the foolish recruits ended up shooting Bhai Mohinder Singh. In the early days of the movement, Baba Gurbachan Singh kept a hideout in the swamps of the Mand area. Here he set up some huts and also a separate hut for Guru Granth Sahib. Baba jee would sleep on the floor and every day wake up at amrit vela and do two hours of naam abhyaas. 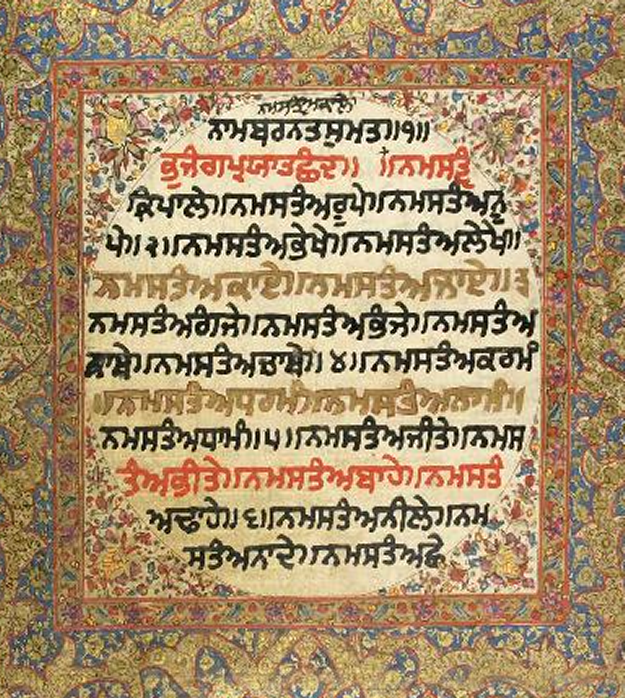 After, he would complete his very long nitnem and do sehaj paath from Guru Granth Sahib. Baba jee daily completed five Sukhmani Sahibs even in the thick of battle. After his morning paath Baba jee would read up to seven different newspapers to keep aware of events and government propoganda. He would plan strategic strikes that would weaken India’s hold on Punjab and break the occupier’s confidence. During this time, Baba jee even had amrit sinchaars at this small dera for those who wanted to become Khalsa. If anyone has been to Punjab they will see that at every half kilometer, there is the grave of a Muslim Pir (saint). These graves are often not even real and made just to make money. Ignorant Hindus and Sikhs even worship these graves and when going past them, villagers are very afraid. Once Baba Gurbachan Singh and another Singh were passing the grave of “Gainda Shah”. The Singh with Baba jee stopped at the grave and because of fear, offered his respects. Baba jee stood afar and watched all this. When the Singh was finished, Baba jee took off his shoe, walked to the grave and began to hit it. The other Singh was terrified and shocked. But when nothing happened, and Baba jee walked away without a word, that Singh and other villagers watching understood that the graves had no power. In Naushera Panooaa(n), there is a grave of a Pir that is considered holy by mothers with sons. They give their sons first pay to those looking after the grave. Baba jee’s mother also once went to the grave and offered prayers for Baba jee’s protection and gave Rs. 500. Baba jee found out about this. When he went home to visit his family one night after his return from Pakistan, his sister-in-law asked, “Do Muslims also come to matha tek at Nankana Sahib?” Baba jee angrily replied, “Muslims aren’t idiots like you who leave their own places of worship and wander about elsewhere.” The family understood what Baba jee was referring to. Dhan Dhan Shaheed Baba Gurbachan Singh Ji Manochahal! !